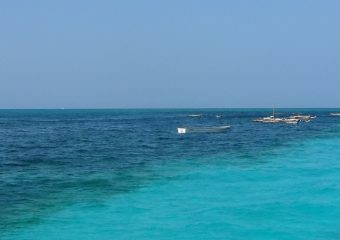 Enjoy a relaxing stay in Zanzibar in a quality hotel directly on the beach in a quiet and little frequented by tourists. On the coast north of Dar Es Salaam, about 55 km south of Tanga, Pangani is known for its excellent beaches to the north and those to the south around Ushongo. Make the most out of your stay in Zanzibar at the Milele Villas. 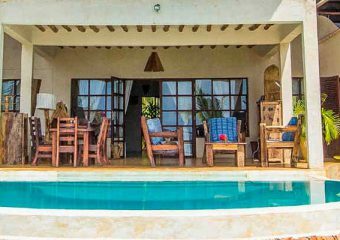 The Milele Villas are located on the northwest coast of Zanzibar island in Fukuchani. 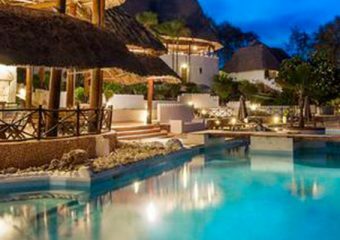 The Milele Villas are on a perfect location where you can view the crystal clear ocean and its white sandy beaches. The warm weather, peaceful atmosphere and water sports are a few among many activities you can enjoy during your stay. 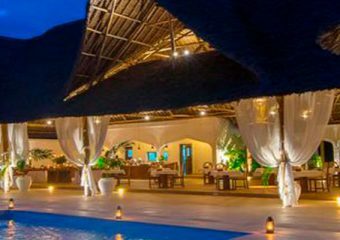 Located on the east coast of Zanzibar, Diamonds Mapenzi Beach Club blends in perfectly with the soothing landscape. The beach covers an area of ​​4 hectares and it is gifted with far-stretched, white sandy beaches and tropical gardens which overflow with palm trees and bougainvillea flowers. The resort offers 87 spacious and comfortable bungalows that are beautifully furnished in the traditional African style. Relax at Konokono Beach Resort, a luxury hotel located on a peninsula overlooking the calm Chwaka Bay on the southern coast of Zanzibar. The resort is located on a large isolated area of ​​the island hence allowing guests to experience luxury in a quiet and undisturbed part of Zanzibar. Each of Konokono’s 24 villas is nestled in lush, natural surroundings and all have views of the gardens or the bay. 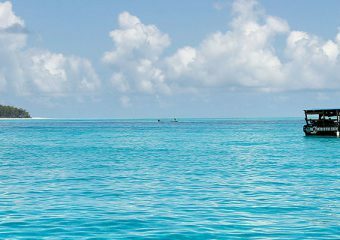 Known as the spice island, the Zanzibar coast ofers some of the best beaches in the world. In addition to its white sand beaches, Zanzibar Island has a lot of culture and history, making it a fabulous place to explore as well as a dream to unwind.